Easily the prettiest face of the Android Wear bunch, you can now pick up the Moto 360 smartwatch for just $165 (about £112, AU$217). Google's even tacked on free shipping to make the deal more enticing, not that it wasn't already. Previously $249.99 (£200, AU$205), the wearable won the hearts of many and sold out almost immediately when it was first announced. 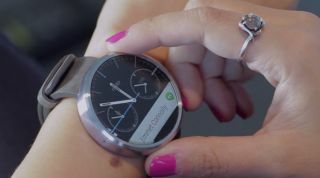 There are customization options available through Moto Maker for the watch, but the low pricing model only offers up the black and stone watches. Limited color choices, if you're curious about the wearable craze and don't feel like plopping down $350 for an Apple Watch, best pick up the Moto 360 today before it disappears again.